CNW: Loblaw Enhances Multicultural Offering with Purchase of Middle Eastern Food Co.
BRAMPTON, ON, May 7, 2014 /CNW/ – (TSX:L) — Loblaw Companies Limited (“Loblaw”) today announced that it has purchased Arz Fine Foods, an established Middle Eastern grocery retailer located in Toronto, Ontario. It will operate as a unique operating division of Loblaw. “This key partnership holds great promise as Canada’s Middle Eastern population and the Canadian taste for Middle Eastern food continues to grow,” said Vicente Trius, President, Loblaw Companies Limited. “Arz Fine Foods is a trusted Middle Eastern supermarket with strong product expertise. The combination of Arz Fine Foods and Loblaw will follow the same approach used with our T&T business, which introduced ethnic expertise and products into our broader business in a very authentic way.” Founded in 1989 by the Boyadjian family, Arz Fine Foods began as a specialty bakery and has since grown to include deli, fresh produce, halal meat, groceries and ready to eat foods. The business also includes a 10,000-square-foot retail store, commercial bakery, food commissary, and distribution centre. Canada’s Middle Eastern population represents about 2% and is one of the fastest growing market segments. 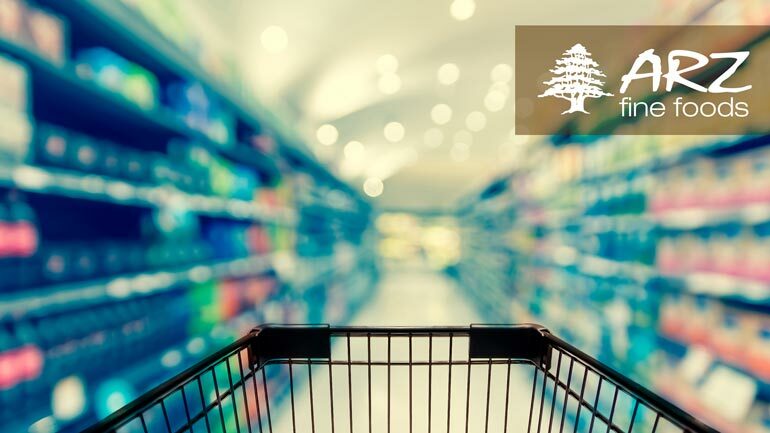 Select Real Canadian Superstore® and Loblaws® stores located in the Great Toronto Area currently carry Arz Fine Foods brand Baklava with plans to provide customers across the country with an expanded selection of their specialty products in the coming months. Loblaw Companies Limited is Canada’s food and pharmacy leader, the nation’s largest retailer, and the majority unitholder of Choice Properties Real Estate Investment Trust. Loblaw provides Canadians with grocery, pharmacy, health and beauty, apparel, general merchandise, banking, and wireless mobile products and services. With more than 2,300 corporate, franchised and Associate-owned locations, Loblaw, its franchisees, and Associate-owners employ approximately 192,000 full- and part-time employees, making it one of Canada’s largest private sector employers. Loblaw’s purpose – Live Life Well – puts first the needs and well-being of Canadians who make one billion transactions annually in the companies’ stores. Loblaw is positioned to meet and exceed those needs in many ways: convenient locations; more than 1,050 grocery stores that span the value spectrum from discount to specialty; full-service pharmacies at more than 1,250 Shoppers Drug Mart® and Pharmaprix® locations and more than 500 Loblaw locations PC Financial® no-fee banking; affordable Joe Fresh® fashion and family apparel; and three of Canada’s top consumer brands in Life Brand®, no name® and President’s Choice®. Through the PC Plus™ and Shoppers Optimum® loyalty programs, more than one in every three Canadians are rewarded for shopping with the companies. Arz Fine Foods is comprised of a retail grocery store, commercial bakery and food commissary. We are purveyors of exotic Middle Eastern and Mediterranean cuisine. Our philosophy for food combines the exotic and traditional Middle East meets contemporary and curious West. Arz Fine Foods has kept pace with the rapid growth of Toronto as a World Class city by providing authentic fresh, frozen and prepared Middle Eastern and Mediterranean produce, groceries, deli, fresh and frozen prepared foods and baked goods. The freshest ingredients are at the core of everything we sell and produce. Whether are customers are looking for the freshest ingredients to create their own recipes or to select from our vast variety of prepared foods, Arz Fine Foods is the destination of choice. 2019 © Arz Group Inc. All rights reserved.